Do you like Jessica the YouTuber? Share it with your friends. 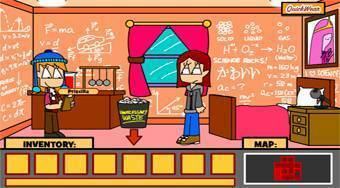 Jessica the YouTuber is a wonderfully crafted adventure game by the creators of the superb Riddle School flash game series. In this game, your task will be to help a young girl named Jessica become a teenager. Walk through the rooms in her house, collect useful items, have fun with her friends and solve various puzzles.